Runnababez Welcome New Team-Mate Juli Stults! Juli Stults (formerly Koenegstein) comes to the Runnababez team with a successful college running resume. 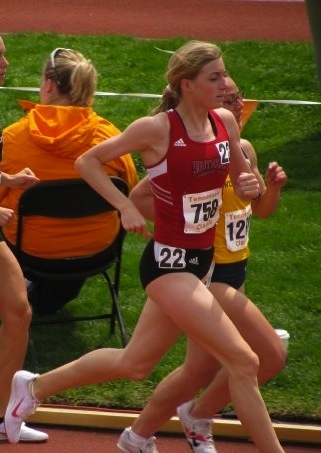 A former standout runner for SEMO. Juli was a multiple time NCAA Regional runner in the steeplechase, and ran to her steeple PR of 10:34.98 in the Mt. Sac Relays in 2009. She also has broken 17 minutes in the 5k, in Outdoors of 2009. Running post-collegiately Juli has returned to her competitive spirits! Running a 1:22 in the half marathon in 2011, and finishing her first marathon at the Rock & Roll St. Louis Marathon in 2013 ,with a 2nd place finish of 3:07. Runnababez believe Juli will continue building momentum to some fast finishes in 2014!